Messi celebrates his second goal yesterday EFE/Q. GARCÍA. Barcelona went 13 points clear at the top of La Liga table yesterday, after beating local rivals Espanyol 2-0 in the Catalan derby. Back from a knock that saw him miss Argentina’s friendly against Morocco while on international duty last week, Barça’s superstar striker, Leo Messi, scored both goals in the second half of the clash held at Camp Nou. 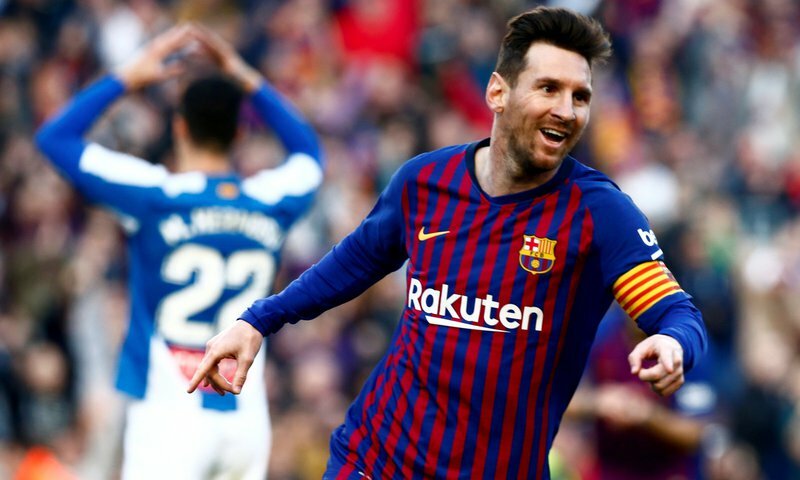 Messi’s first strike came on 71 minutes, with the forward scoring from the edge of the box, over the head of Espanyol defender, Victor Sánchez. He clinched his brace some 18 minutes later, thanks to a counter-attack, taking his tally to 31 goals so far this season. Messi has scored 22 goals in his last 15 La Liga games. The defeat left Espanyol in 14th place on 34 points, although the pericos are unlikely to be drawn into a relegation battle and could still be on for a top-ten finish if they can get back to winning ways.